I was feeling lonely sometime after I had embraced Islam. I was in college and I suddenly noticed how many Imams wanted to marry me to that ‘good fellow Muslim’ or the occasional brothers on the crowded Manhattan streets who would stop me very chivalrously and would propose marriage out of nowhere… As a matter of fact, now looking back this has brought back a memory which I remember vividly. I was at the deli on West Fortieth Street and Sixth Avenue. This deli was owned by a Yemenis family and had become my usual stop before going to work or class. One of the guys in the store would give his salaams then would casually ask “Are you looking for a husband?” I would of course bashfully tell him no and be on my way. Well on this particular day there was some other Muslim brother doing something in the store and I of course being in a rush didn’t pay any mind to him. I got my coffee and walked out; however, quickly after that the brother rushed behind me. He insisted that I should marry him and that he owned a business and how he would make a good husband for me (I laughed in awe as this never happened to me before). I politely told him “I’m not looking for a husband right now and I have to get to class salaam walakium (peace be upon you).” After that incident I began to consider maybe I will think about getting married once I finish school. I soon met a Bangladesh sister who was Muslim and was in my English class. The funny thing was that she was in my Accounting class during my first semester. She recognized me and said “Mash ‘Allah you’re Muslim Alhamdulilah”. I was shocked. “Wow aren’t you that girl that was sitting in front of me in Accounting 101?” I said, “yes” and from that day we became good friends. We would accompany each other to class and as time passed Nasma would insist that I needed a husband. I would laugh, and tell her “when I’m ready I’ll let you know”. We were in the middle of the semester and she was so persistent mashallah. She would go on and on about these guys that lived above her in their house. “I will ask my husband to see if any of them are interested in marrying?” One of the guys had a girlfriend and Nasma told me she would speak to her from time to time so she decided to jump the gun, as they say, and ask this girl more information. It was so weird I didn’t know what the etiquette for marriage was in Islam and I felt as if they were playing matchmaker for me. Nasma set a day for me to meet Marcella. The day soon came and I met Marcella. She had lots of interesting opinions about the guys. She kept on insisting on a particular brother, but I wanted to know more about the brother she didn’t want to talk about. She would brush me off and say “Oh him well…um…I don’t talk to him so… I don’t know about him; let’s talk about this brother”. Keep in mind; I didn’t know how this worked so I was basically at their disposal. So as she insisted I told her ok I guess I can meet the Muslim brother you mentioned and see if there is a connection. So I met the brother; however, I didn’t have that feeling – you know that sense that tells you he’s the one your love and partner in this life and the next. I soon told her “he’s a fine brother mashallah but I’m not interested in him”. I felt so shallow and superficial. I didn’t want to hurt anyone, maybe I wasn’t ready for marriage yet. I made du’a (supplication) to Allah (swt) to please help me find the right person. I told Allah that I wanted someone religious, handsome, jealous (good kind), and that would accept that I had children from a previous marriage and love them as his own. I soon met some Turkish sisters. They would meet weekly to have discussions on Islam and the Sunnah. I went to my first and only meeting around March. I loved it; the meeting was so enjoyable and informative. I never met so many Muslim sisters who made me feel at home and welcomed. At the end of the meetings they explained to me that every week everyone would take a piece of paper with their name on it and would place it in a cup. Whoever’s name they would pull out they would make du’a for whatever that person desired. Well on this occasion my name was pulled out. They gracefully and anxiously asked me what I wish that Allah grant me. I told them that I really wanted a husband. They all broke into laughter and said, “A husband we can find you a husband tomorrow if that’s what you want”. 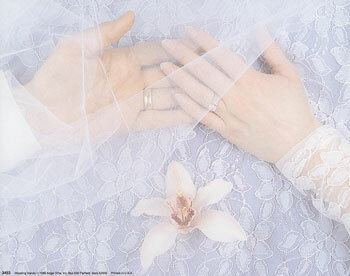 I insisted on it and they agreed and made du’a that Allah (swt) gives me a good husband. Well like two weeks later Marcella told me that the brother I had insisted on wanted to meet me with the intention of marriage. I was so thrilled! I wondered, what did he look like, was he religious, what was I going to wear? I hope he would like me? All these thoughts rushed in my mind. I was nervous, and excited. We set a day where we would all meet. It was that following Saturday, I went over to their house and waited anxiously for someone to answer the door. When the door opened all I kept thinking was is this the guy? Subhanallah he is so attractive I couldn’t help from blushing and lowered my gaze and kept asking Allah (swt) to forgive me for staring at him. He greeted me and told me “Salaam Walakium, I’m El-Hussein nice to meet you”. I was so nervous. We went upstairs. I was greeted by everyone there. It was so nice. Hussein asked how I came to Islam and about my family. I also asked him about his family, education and his interests it was real casual. I tried to interpret his body language to see if he liked me, but he was too difficult to read. I had no leads. He was serious but polite. Did he like me? I wasn’t sure at all. I had made time a few days prior to see a program on body language and how to tell if someone is attracted to you. I tried to read his body language I felt so pathetic and dumb. I was trying to interpret his anatomical positions and observe him. Was he my lab specimen or my potential husband. This was so silly. Well I still couldn’t pinpoint if he liked me. The night came to an end and I soon realized that I was about to do something I had never done before in my life. I was going to ask him if he wanted my telephone number. He smiled with delight and said “yes of course”. I was astonished on how he responded I felt warm all over and new that he was interested. When I went home I was on cloud nine. I couldn’t stop thinking about him. “Will he call?” I thought. The next day, he left me a message on my cell phone. He wanted to meet me at the park so we could get to know each other better. He brought along a gift it was an Islamic book set. I was so happy this was my first book set; he informed me that his intention was to marry me and so he spoke in more detail about himself and his roots in Egypt. A week later we went to meet his cousin in New Jersey. He was the only family member that was real close to us. He was so shy to ask me and when he did I accepted and we went to visit his cousin and family. His aunt Mama Cici was in New Jersey visiting from Egypt and at the time I didn’t know much if any Arabic. When we walked into the door I was greeted with a huge hug from her and she kept say “Mabrook, Mabrook, Mabrook!!!!!! !” I didn’t know what she said but I thought wow she is such a nice lady. She really likes me *laughing*. I later found out that she thought that Hussein and I were already engaged and was congratulating us (mabrook means congratulations in Arabic). He explained to her that we weren’t engaged yet, and then she followed with she’s the one for you so congratulations. After knowing each other for a month we were engaged. Allah (swt) for a husband, Hussein had all of them subhanallah (Glory be to Allah). He was the one I waited to meet. He was fantastic with my children and treated them as his own. We soon were married on May 30th 2003. All praises to Allah (swt). I love my husband so much and I pray that Allah rewards all my sisters in Islam with a wonderful husband like mine inshallah. Allah had truly blessed me and my family with such a wonderful man. masha’allah habeebty, thats wonderful. as i have told you several times before, you are such a talented writer. Of corse, us being such close friends, I have heard this story several times before during our long conversations while both of us were bored out of our minds at home. I am so happy that you feel so wonderfully about your dear husband, and I know your family personally, and love each and every one of them, if not for the cause of Allah (like your husband), then because you are wonderful, beautiful inside and out, and talented. But most of all, I know how much you all love Allah SWT and i charish our friendship so very much. May Allah bless you and your family, and keep you all safe and close to Allah SWT. amin. i am your sister from Indonesia, am 50 years, and have been a moslemah since i was born. but to tell you truth, i just found the real islam after i came back from my haj in january 2005. alhamdulillah islam is more beautiful than i thought. and alhamdulillah i found your website. subhanallah, i meet you sister, although we are hundred thousand miles away apart. but i feel so close inside, because of this belief. subhanallah your writing is really good. Your story (and others like yours) is for me the proof that islam is the religion that will prevail.I do not tell this with an combative mind,Ma’átha Allah.I respect the other religions as Allah SWT told as to respect them and see Islam as a continueing of judaisme and cristianity after reveling us the human deviations of it. *( Inna ma’a alosri yosra)*.really after each huge event like terrorists attacks,and reactions on that, and al what we see now about the cartoons and a ferocity of free speech deffending, when the expressions and speeches only mean to ridiculise muslims and their religion.After al of this you stil see men and women from other faiths or without any faith becoming muslims . SUBHANA ALLah WA ALHAMDOLILLAH. Mashallah, Mashallah, Mashallah!!! I was in tears by the time I got to the end of your beautiful short romance novel. (winks) well that is what I look at it as… I was gasping on every single word, in excitment to see what came next. Mashallah I am still in amazment. I am so happy for you to have found the love of your life. You know so many woman look for Mr. Right but just get so lost in life, I am so happy that your husband met all your needs in a husband and think it is so adorable the way you two met. Mashallah just kept comeing to mind the whole time I read your story. So anyways, I better shutup before I write Mashallah millions of times. I am so happy that you have found a nice man as your husband.And I am happy also to read from your recent airplane crash story how you became a muslim.I am a Singaporean muslim who is married to an Omani man.He is a wonderful and loving husband and a good father too MashaAllah.May your husband too treat you well,InshaAllah. Salam alaikum Sister; Mashallah you have had a wonderful journey to find your greatest love, Allah, then the love of your sisters in Islam surrounding you, then the love of the right husband that you wanted. By the way, I just want you to go back to the same meeting with the sisters but this time write my name, and if it is pulled, let them pray for me to find the right partner as you did hahaha. May Allah bless you and bless your parents and my non-muslim friends by His True Religion and all the people. I have read two of your stories: Your conversion to Islam on Islam online and “The day I opened my heart” from your blog. MashaAllah they both were beautiful stories that show how Allah subhanahu wa ta’ala guides to the truth those who are opened to it. I, like you, am a Muslimah from Hispanic background who converted to Islam almost two years ago by the mercy of Allah subhanahu wa ta’ala. I just wanted to tell you to keep up with your writings, which InshaAllah will inpire non-muslims to the truth and born-muslims to appreciate better what they have: Al-Islam; I also want to tell you to keep striving for the cause of Allah. May Allah subhanahu wa ta’ala make this deen easy for us, Ameen. Jazakallah, your writing and thoughts are so inspiring. I pray i could be as beautiful as you.. I am really happy for you that you found a husband who is a comfort for you. I am also anxious to find a husband with all the qualities that I am searching for. While it sometimes seems almost impossible to find such a person, reading how you found yours and how he was like you wanted him to be gives me hope that Insha’Allah I will also be blessed with what I am hoping for and that it will be best for me. Please please please pray for me that God may very soon bless me with this. Jazakallaho Khaira! Wassalaam. Mash’Allah, que hermosa historia. Really, I was crying through the middle of this entry. I am so happy that marriage sealed your life as a Muslim.